Left foot forward (a journey into reenactment): Like minded pursuits. It is a given when you get into reenactment that your fellows will have certain shared interests.. most obviously the era you portray.. and probably military history in general for the soldiers maybe a larger slice of social history and domestic practices for the non-combat roles.. most love the whole era, why else would you want to emerse yourself in it? 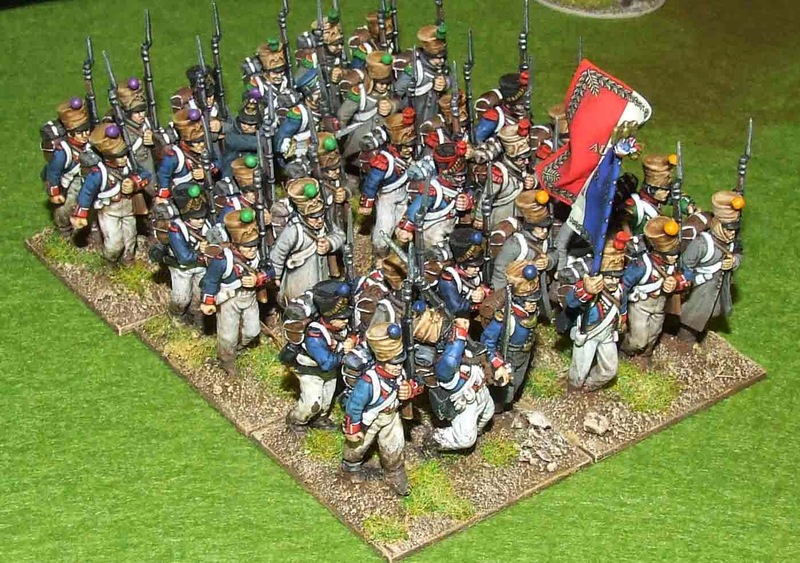 Since I started out in the 45eme I have naturally painted a number of my French troops as such and knowing the uniform inside out has changed the painting.. how ever did I think that cuffs were green or just fill in the blanks with whatevr colour felt right. TCH. I had also wondered how in wargames blocks of troops could move diagonally without becoming entangled, not forward, about face, then forward again.. now I know for sure, I've done it in drill and when I move a battalion off at an angle I see all these feet going 'Left foot Step forward, Step out right 45 degrees, step forward, step out right 45 degrees.. step forward.. etc. It all goes together. 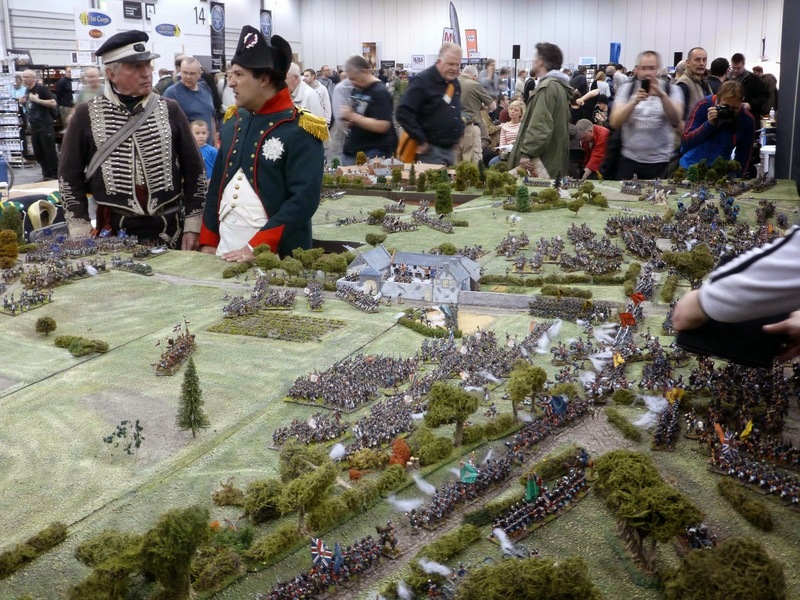 A chap called John being Napoleon at Salute, at the time I didn't know I would one day be marching behind him through the streets of London. 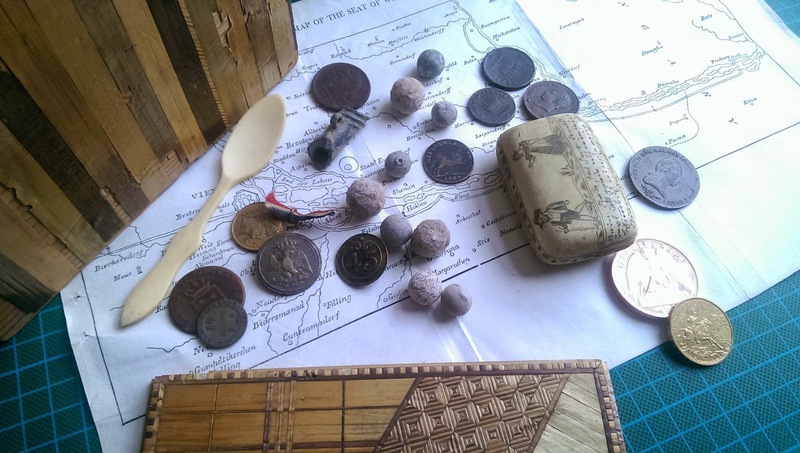 Another hooby has come out for me since starting is my own modest collection of nik naks from the era.. coins, buttons, musket and pistol balls.. I am fascinated by where they might have come from. If only they could speak! One coin is Russian and from 1812, how did it get to England? Maybe its story is completely mundane and it just passed to a merchant for some potatos and got carried back in amongst other coins by mistake. or maybe it was freshly minted in Moscow just in time for the Grande Armee to occupy the city and got carried back on the grim retreat inside the seam of a soldiers coat, only for him to be sent to Spain in 1813 and be killed in action, only for a redcoat to cut his jacket open for loot and take it, eventually back to blighty, and eventually to an antique shop.. and then to me.. Who knows? There is also a map that was given away with an American newspaper so its readers could follow the war in Europe in 1809, and a 45eme button.. which strangely sell for more than a lot of other units.. a medallion issued for the return of Napoleon's body and my recent 'Waterloo medal' given out free by the Royal mint. The box I keep them in was made by a French prisoner of war, a prisoner with a craft would make things to try and raise some pocket money by selling them on to locals, bone and straw were common free materials and I have seen some wonderful things made of them.. like a finely carved sailing ship complete with human hair to make the rigging and rope lines..
My favourite item is a snuff box sent from Spain, I got it cheap because the lid is missing and plan to try and fashion a top myself. 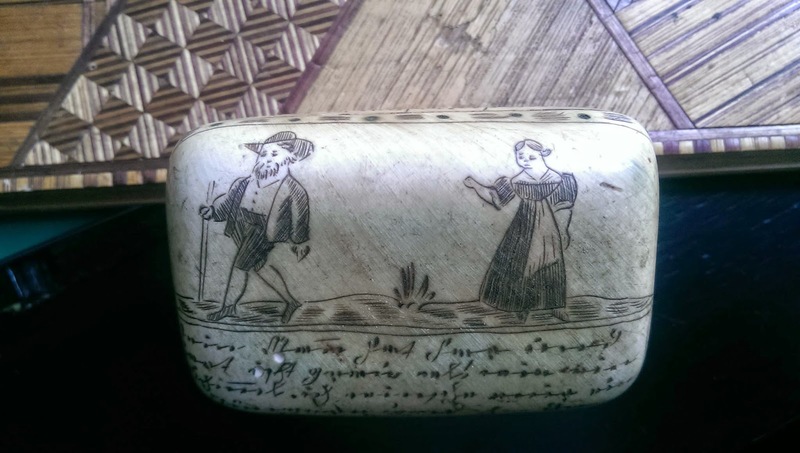 It is made from bone and has been etched/painted in a style called scrim-shaw and it is the picture that gets me, a man walking away from a woman, as if he has turned his back and must make a long voyage.. was this the actual man who carved the box and his wife? The costumes they wear are apparently typical of Holland/Low countries.. was he conscripted to fight with the French and sent to spain where he became a prisoner? What was his ultimate fate? This sort of thing really connects me with the people and their lives. Somewhere near Aachen at the moment a Prussian cannon ball is sitting in a courier depot waiting to wing its way to me. Found in the 80s by a German school teacher apparently in park land almost equidistant from Waterloo and Ligny. Which battle was it fired in?.. or was it one of the last shots of the day on 18th of june as the French fled the field? or maybe just abandoned by a lazy crewman on the muddy road.. again, who knows. If I ever win the lottery (I suppose I'd have to buy a ticket first) I'd love to collect Swords and pistols and curiosities.. and maybe have a private museum in one wing of the house. Until then I shall enjoy my little box of nik-naks.